Al-Qaeda is on the run, alright. They’re running their second annual Quran contest. 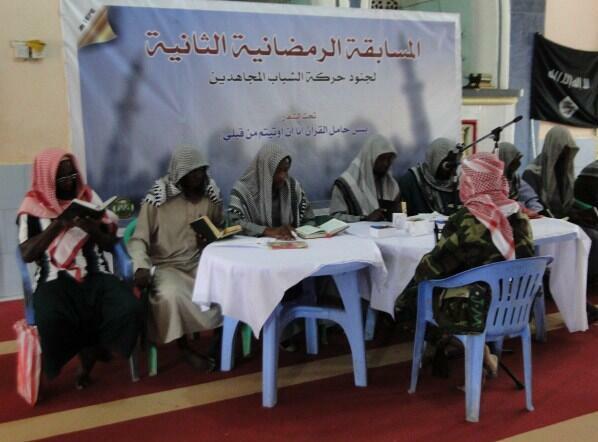 Mujahideen fighters took part in their annual Qur’an competition conducted by HSM Military. 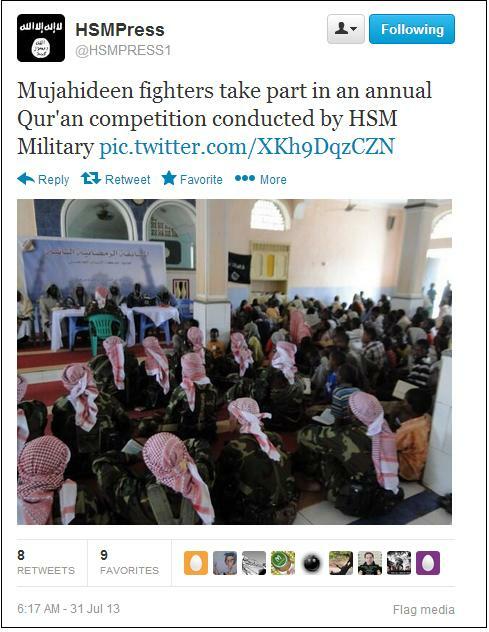 HSM is widely believed to be the al-Qaeda linked Al-Shabaab organization in Somalia. The contestants were pictured with their Korans.